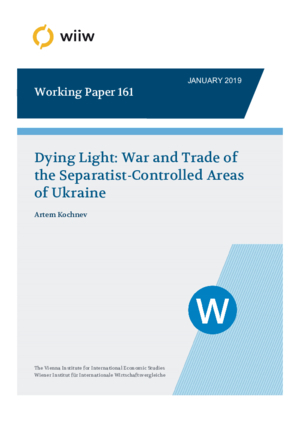 The paper investigates how war and the war-related government policies affected economic activity of the separatist-controlled areas of Ukraine. The paper applies a quasi-experimental study design to estimate the impact of two events on the separatist-controlled areas: the introduction of the separatist control and the introduction of the second round of the trade ban, which was imposed by the government of Ukraine on the separatist-controlled territories in 2017. Using a difference-in-difference estimation procedure that controls for the yearly and monthly effects, individual fixed effects, and the region-specific time shocks, the study finds that the separatist rule decreased the economic activity by 38% in the Donetsk region and 51% in the Luhansk region according to the preferred specifications. At the same time, the trade ban of the year 2017 against the major industrial enterprises of the separatist-controlled areas decreased luminosity by 20%. The paper argues that the trade disruptions due to the war actions were nested within the negative effect of the separatist rule and accounted for half of it. Contains material for referees and intended to be provided for the online-appendix. 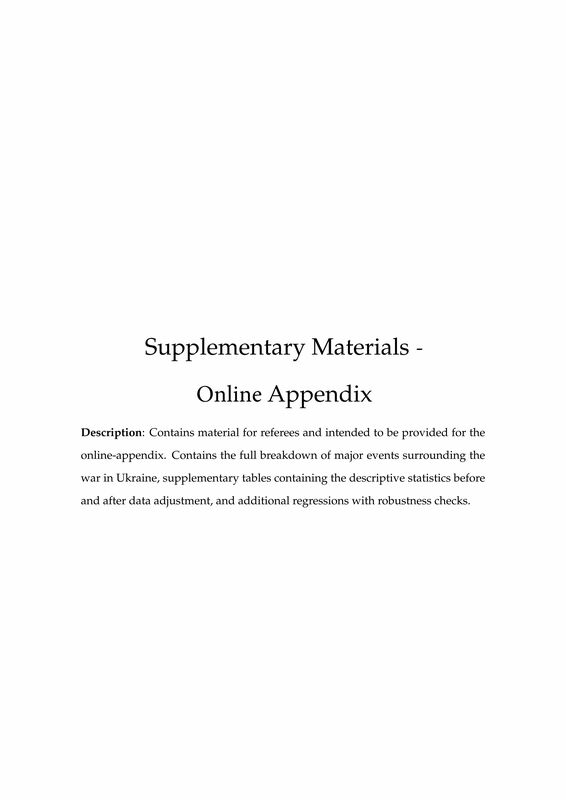 Contains the full breakdown of major events surrounding the war in Ukraine, supplementary tables containing the descriptive statistics before and after data adjustment, and additional regressions with robustness checks.